Basically, that’s all you need to know about this recipe. 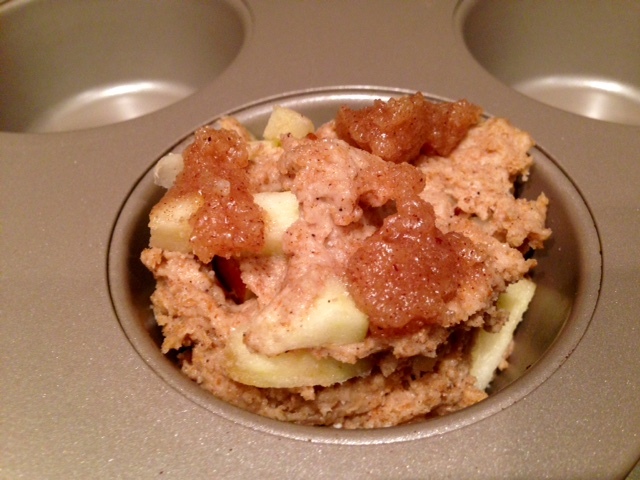 But I guess I could mention the fact that they’re mostly whole wheat, low in sugar, and full of wholesome fruit. I mean, if that kind of thing’s important to you. When you make this, the batter will worry you because it is crazy thick. Like, bread dough thick. You won’t pour or spoon it into the muffin tins, you’ll kind of awkwardly drop it in there and kind of smoosh it. 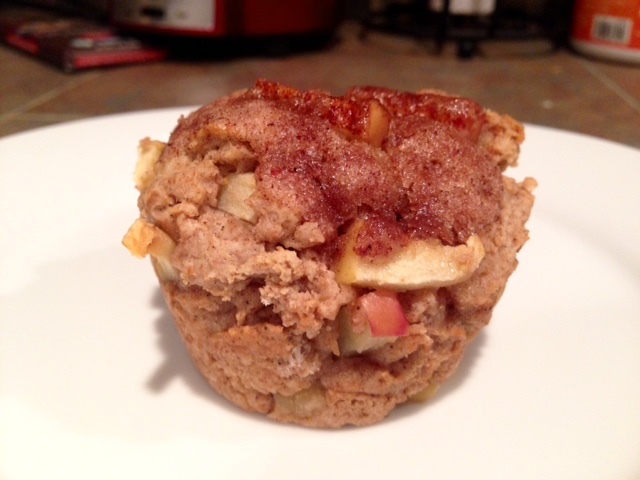 Don’t try to smash it into the muffin cups, just kind of drop it and it will expand as it bakes to fill in the gaps. And despite the thickness of the batter and the density of the baked muffins, they’re super moist! Preheat the oven to 350 F. You’ll have to microwave the coconut oil until it’s liquified. If your buttermilk isn’t room temp or close, you’ll also want to slightly microwave the buttermilk so it doesn’t make the coconut oil clump back up…just 15-30 seconds at a time until it’s lukewarm. In a large bowl, whisk the coconut oil, buttermilk, brown sugar, egg, and vanilla together until smooth. 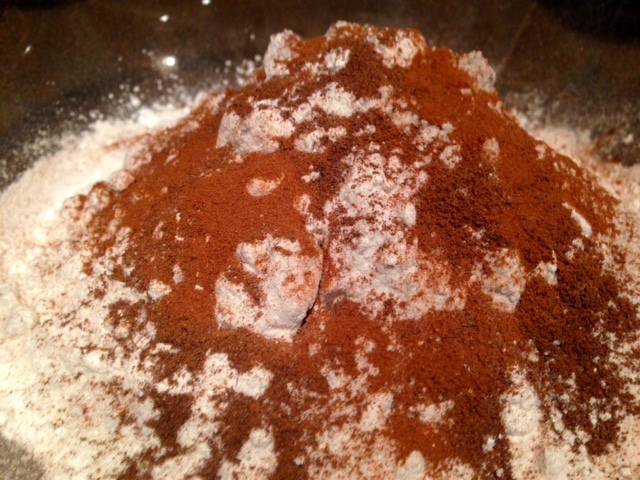 Add the flours, baking soda, baking powder, salt, and allspice. 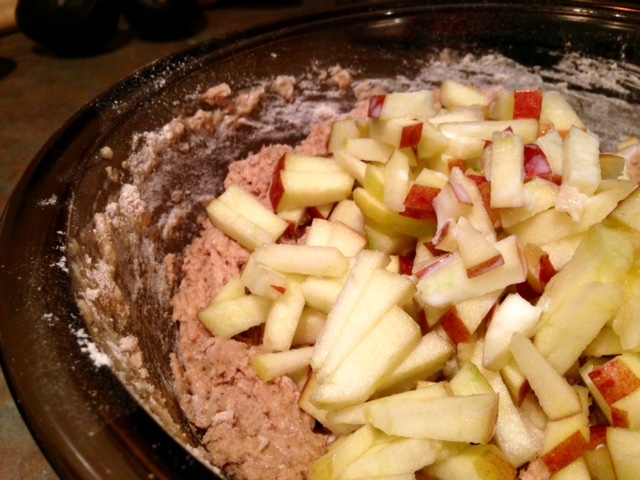 Stir the wet and dry ingredients together until just combined, then fold in the apples. Your batter will be very thick, that’s okay. Scoop the mixture into a greased or lined muffin tin—mini, regular, or jumbo sizes are all good. Melt the butter for the topping, then stir in the sugar and cinnamon. It’ll be a pretty thick paste. 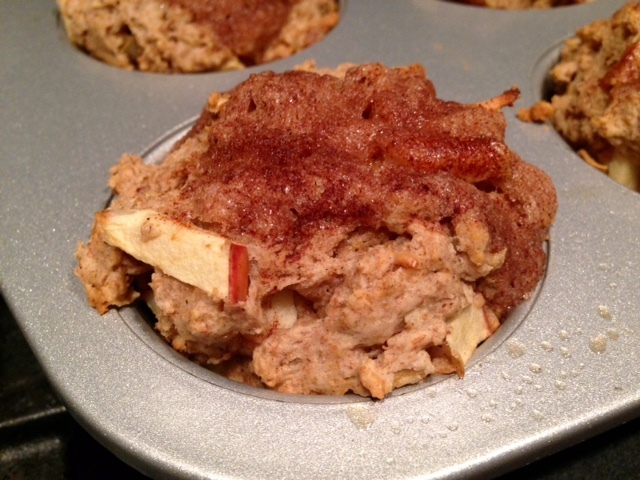 Spoon (okay, let’s be honest, kind of drop/clump/spread) the topping over the muffins. Don’t worry, it doesn’t take much to get the crunchy top effect. If you want to go CRAZY, then you may want to double or triple the topping. 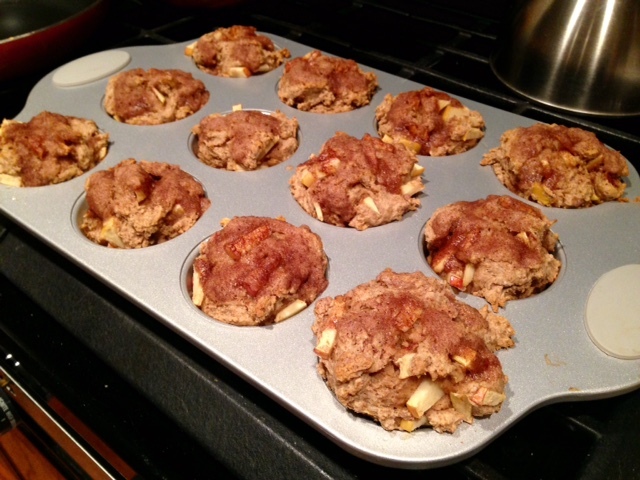 Bake for 15 minutes for regular size muffins, a few minutes more or less depending on size. The muffins should be golden brown with big round tops. They’ll be pretty dense, that’s that whole wheat flour at work—but moist too! Microwave the coconut oil until it’s liquified. You can slightly microwave the buttermilk as well if it’s cold–you don’t want it to make the coconut oil clump!). In a large bowl, whisk the coconut oil, buttermilk, brown sugar, egg, and vanilla together until smooth. 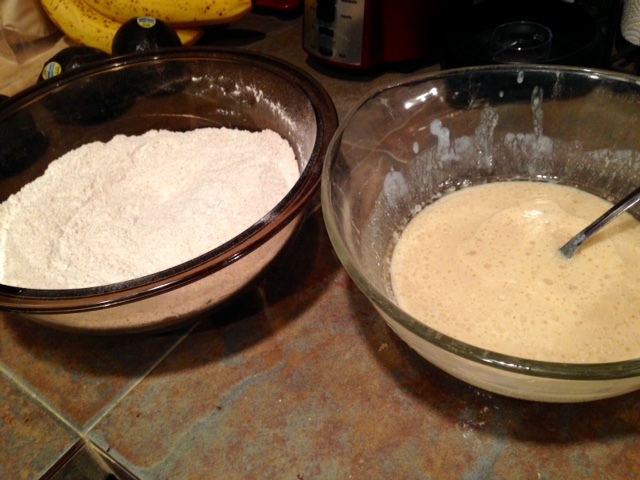 Add the flours, baking soda, baking powder, salt, and allspice. 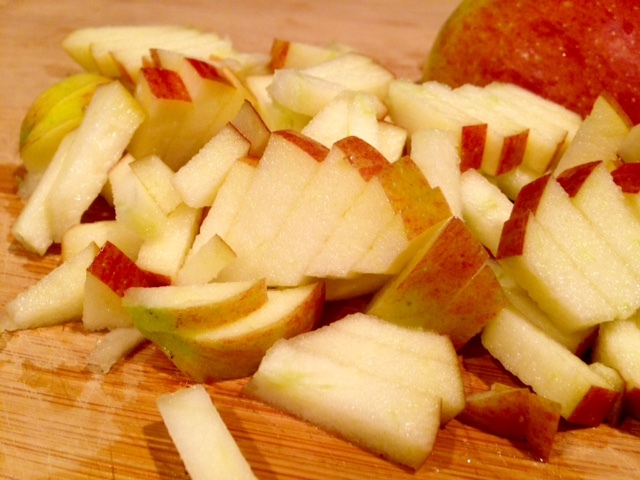 Stir until just combined, then fold in the apples. Scoop the mixture into a greased or lined muffin tin—mini, regular, or jumbo sizes are all good. 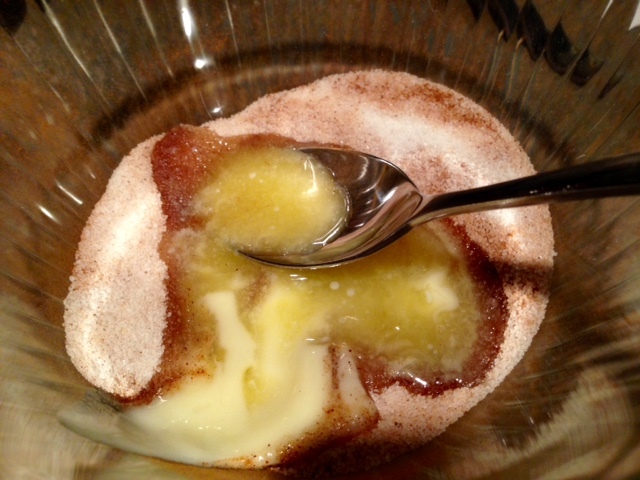 Melt the butter for the topping, then stir in the sugar and cinnamon. Spoon (or kind of clump-spread) over the tops of the muffin. It doesn’t take much to get the crunchy top effect, but if you want CRAZY cinnamon sugar crunch then you may want to double or triple the topping. 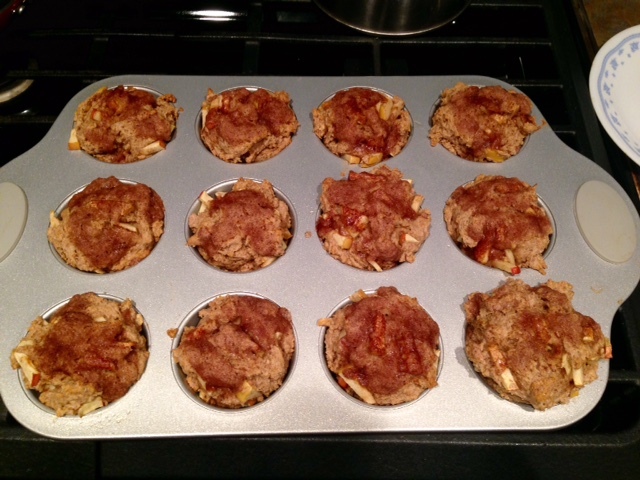 Bake the muffins for 15 minutes for regular size, a few minutes more or less depending on size. The muffins should be golden brown with big round tops that spring back when you press them.